I have to admit that snakes give me the creeps. It’s possible that you think snakes are cuddly and huggable and make adorable pets. Well, perhaps they do, but I think they’re horrid things. Now, I’m sorry if you find my comments offensive, but that’s how it is. The Naga of course is a huge terrifying snake that you wouldn’t want to meet in a back street on a dark night. Or any street, for that matter. It’s the Sanskrit word for an enormous scary cobra, a great hooded thing immortalized in statues and carvings that adorn most Buddhist temples. They are supposed to be “the persecutors of all creatures”, or so it says in the Mahabharata. You could safely offer either of these Naga wines to guests who are wine beginners. They come from Siam Winery, a company that produce a huge range of wines including Mont Clair, the familiar work-horse wine that shows up in almost every bar in town. 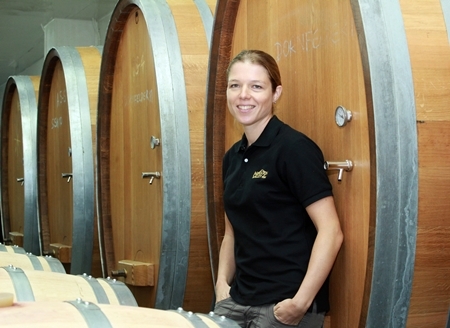 Winemaker Kathrin Puff has crafted two excellent but undemanding easy-drinkers designed to complement Thai cuisine. Here’s a pleasant, light yellow wine with an attractive fruity aroma. You might pick up the smell of green apples, citrus and a faint touch of grapefruit. Melons too, possibly. The wine is very soft on the palate, absolutely loads of fruit and only the slightest touch of acidity. 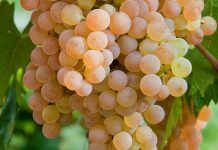 Acidic whites really tend to put beginners off, and in any case, very acidic wines simply don’t work with Thai dishes, whereas just a light touch of acidity does the trick. This dry wine is blended partly from Chenin Blanc and Colombard, but it’s not as dry as the proverbial bone. “Off-dry” is the usual expression. A dash of slight sweetness in the wine can provide a pleasing balance for hot and spicy Thai dishes. Ray Isle, the poetically-named wine editor of the Food & Wine magazine, also claims that off-dry wines with a touch of acidity make good partners for Thai food. This one would go a treat with many Thai dishes and I am sure many non-wine drinkers would find it attractive. I tried it with a plate of spicy fried rice, egg and vegetables. It worked well. Strangely, the food made the wine seem a little bit drier. I was interested to compare this wine with Mont Clair Bin 5, which you may recall is a blended Cabernet Sauvignon from the same company. Although the two wines are exactly the same colour, the aromas are quite different. The light-bodied Naga has a rather sweeter aroma of red currants, plums, touches of herb and a slightly peppery quality that presumably comes from the Shiraz in the blend. Compared to the Mont Clair, the wine has a softer and gentler mouth-feel but it’s not quite as dry. There’s plenty of fruit and a lively tang on the taste which will help to soften the powerful flavours of spice in Thai curries. 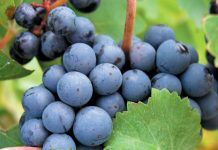 Surprisingly perhaps, there is virtually no tannin on the palate so the wine could well appeal to wine beginners who are reluctant to try reds. In any case, tannic reds don’t go with Thai food. 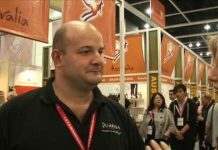 The basic flavours of Thai food are difficult to match with tannic wines, because they make the wine taste bitter. Big oaky reds don’t usually work with Thai dishes either. Of course, there are bound to be exceptions, but if you want to play it safe, stick with off-dry whites and light reds like these two Naga wines. A snake in the glass, you might say. Or perhaps you might not. But at the tail end of the week, it’s the best I can manage.